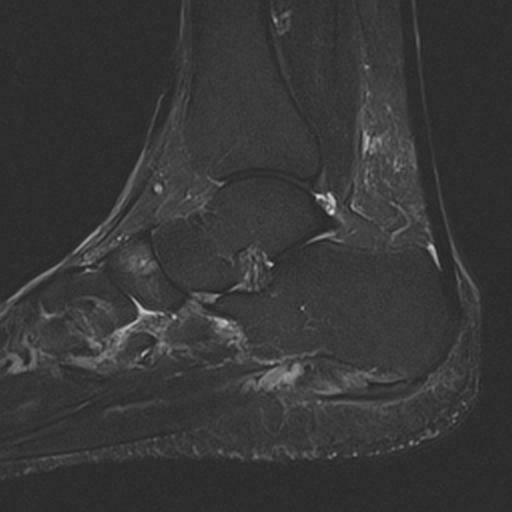 T1W images demonstrate thickening of the plantar fascia near its attachment site onto the plantar surface of calcaneus. 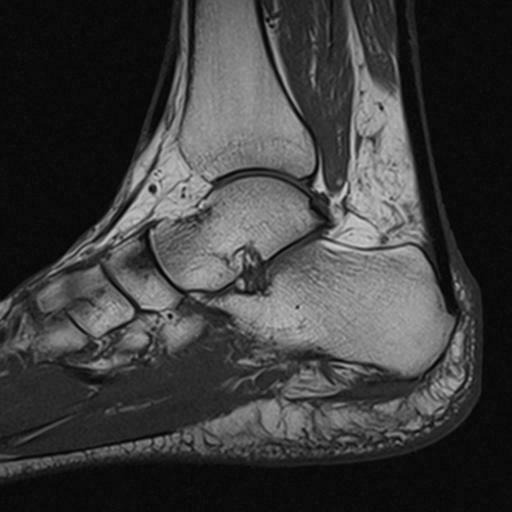 Increased signal consistent with edema of the plantar fascia is demonstrated on proton-density image. 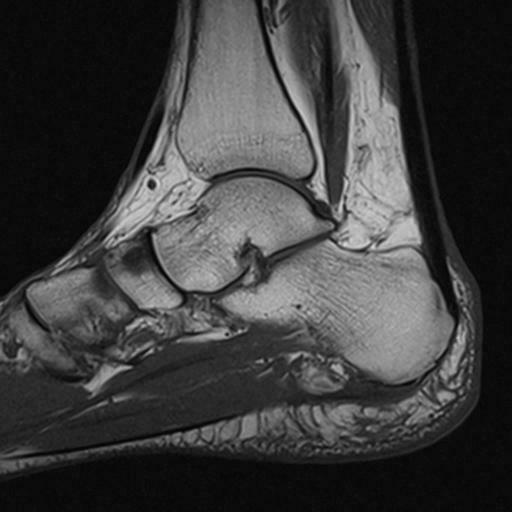 In addition to plantar fasciitis, abnormalities of plantar fascia may include rupture, infection, and post-surgical changes.